Tapping Thought Field Therapy, or TFT, is a fringe psychological treatment developed by an American psychologist, Roger Callahan. 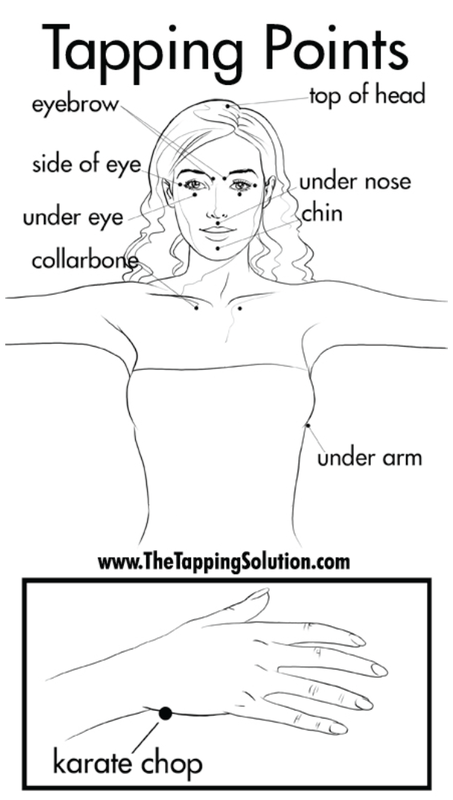 Its proposes that it can heal a variety of mental and physical ailments through specialized “tapping” with the fingers at meridian points on the upper body and hands. Tapping was first used to reduce the stress levels, but eventually, some found out that when you release the tension of your body, then other things start to improve as well. Tapping works in two ways. Firs is the release of tension on the meridians, because as Callahan claimed, each perturbation we have is encoded information contained in the “thought field”( the energy field created by positive or negative thoughts). Our thought field, changes constantly, because it is connected to a particular problem, and is activated by thinking about that problem. These perturbations have a lot to do in the creation of negative emotions and that each perturbation corresponds to a meridian point on the body. Therefore in order to eliminate the emotional upset, a precise sequence of meridian points must be tapped. By tapping we unblock the flow of energy, in other words it balances the flow of vital energy in our lives. Second is because we speak while we tap, this is a way to “give words to the emotion”, this is a simple but powerful way to transform our lives. Most of the times we feel some kind if anxiety, we are not aware about what is really the cause of that anxiety. When we “know” the origin of our anxiety, we are able to work it. If we can see the problem that is producing the anxiety, the problem starts to loose power over our bodies(remember, our brain has the ability to increase the size of any problem, by thinking about the problem and not the possible solution). The answer for me is simple: Try it for yourself, and find out if it works your you, and if it does, then you have just found new powerful techniques that will help you live a happier and less stressed life. If it does not work for you, then you have one less thing to try in order to have a happier life.